While not exactly what the High Passage clients think, having the cargo manifest include passengers will make unloading them at the proper world easier. 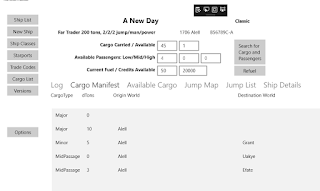 Plus I will customize the cargo manifest at some point to list the passengers in their own section. Depending on where I end up today, I should have the jump process then unload all passengers and cargo if the world is the destination world. 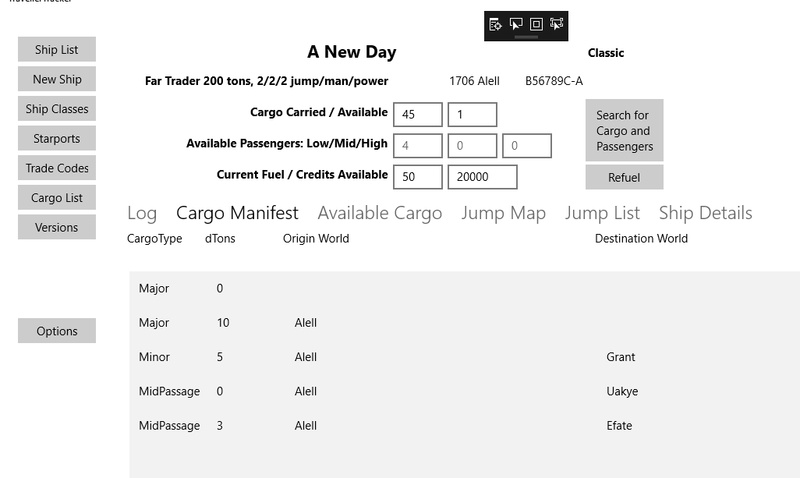 I also need to add loading/unloading to the ships log as automatic entries. Took a couple of tries, and I probably need to add a delete button in case yo want to offload unruly passengers or cargo before the jump.